Youth ages kindergarten through sixth grade participate in the Tabor Soccer Academy put on every spring by Tabor Womens Soccer coach Ian Thompson and his team. The participants learn the game in practice during the week and then play games on Saturday. 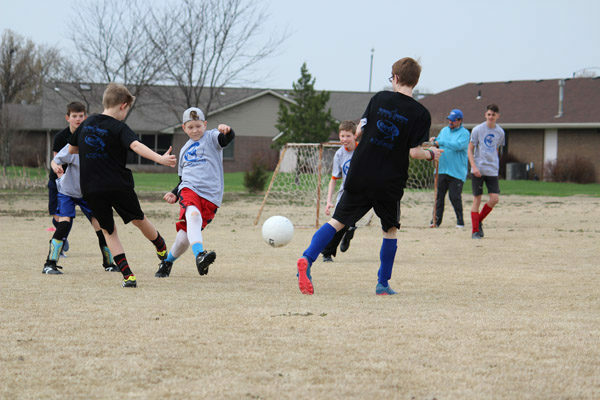 Sixth grader Colton Rempel moves in for the ball while his classmates try to take it away from him. Saturday was their first game due to stormy weather previous weekends. 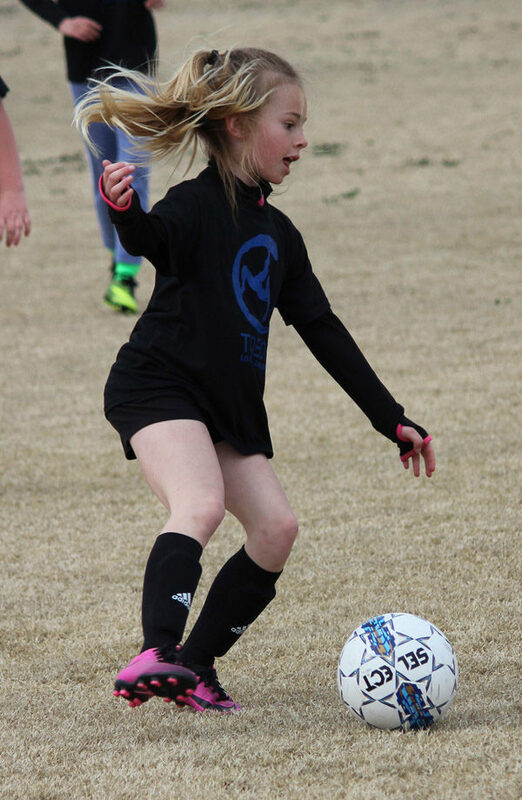 Fourth grader Cheyenne Smith plays in her first soccer game. The weather was warm and sunny this week providing a nice morning for athletes to play while families watched.